After what seemed like a never-ending closed season, it was finally time to grace the river bank again at the picturesque River Trent section at Branston Golf Course. I’d recently fished a midweek open and netted almost 14lbs at the top end of the stretch, so, I opted to fish a peg in the lower numbers. Like most of the country, we’ve had hot, baking conditions for over three weeks. The river is low and filled with weed and in desperate need of some rain. The setup, as with all my river fishing, was quite simple. A 6 No 4 Dave Harrell Alloy Stick Float to fish in four feet of water using my Cadence CR10 15ft #1 Match Rod rod twinned with Cadence CS8 3000 reel. I also had a waggler line to fish in between the weed channels where it was a little pacier. This consisted of a Cadence CR10 13ft #2 Match Rod twinned with a Cadence CS10 3000 reel. I’d used this rod and reel combination in the midweek open, I knew the excellent action of the rod and super smooth line retrieval of the CS10 would give me the ability to catch fish quickly. They would also be able to handle any bigger bonus fish if hooked mid-river, easily. Both rods are light and ultra-responsive just what you need when catching silverfish. I kicked off the session on the stick float with loose fed maggots and hemp. 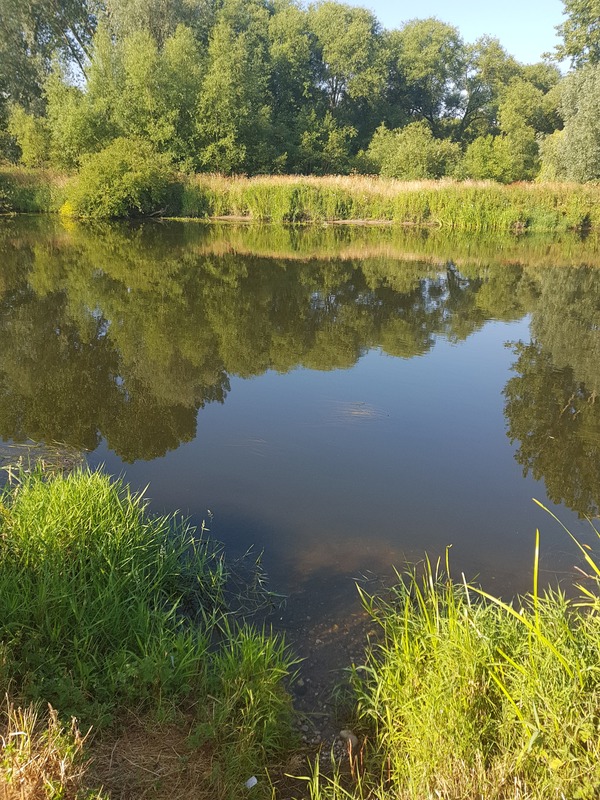 I don’t believe in using groundbait on slow-moving weedy rivers, preferring regular loose feed to keep the fish competing throughout the levels of the water. 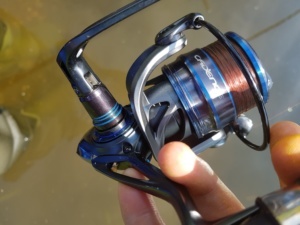 The Cadence CR10 15ft Match Rod was ideal and gave me complete control, despite the stiff downstream wind. The first half-hour saw me put a procession of small dumpy perch up to 6oz in the net. I felt the set up was right and fish were coming regularly. This section is known for roach, and in particular, big dace. The dace had not been caught much on the early season matches. Give the shotting pattern a subtle tweak gave me a much slower fall through the water which helped me connect with a dozen prime condition dace. 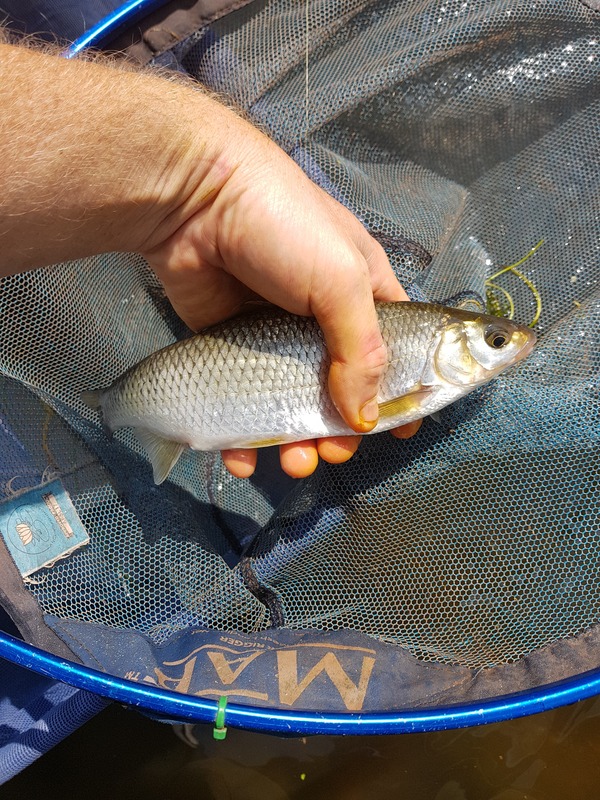 As it can often be on the River Trent, the fishing slowed, so I picked up the waggler and found roach and dace, mid-river. Regular feeding was vital. The Cadence rod and reel combination made fishing easy and the crowd of ramblers stood behind suggested it was “easy, this fishing lark!”. 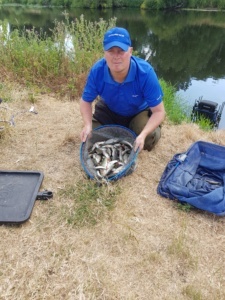 I had a great few hours picking off roach, small chub and some nice dace, but as is the way, the final hour saw things slow down with temperatures topping 30 degrees Celsius. It was a case of alternating lines and picking the odd fish off here and there. 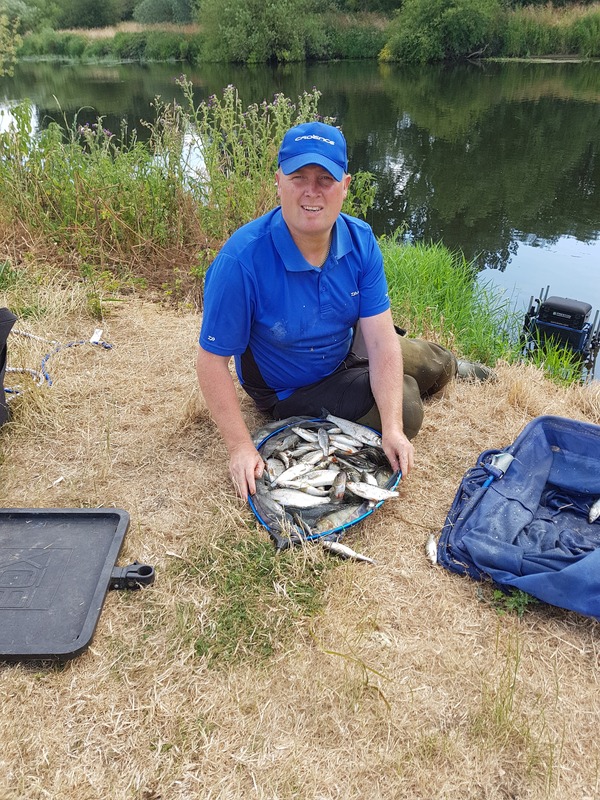 By the end of the match, I’d bagged 20lbs 4oz, which comfortably won the match. 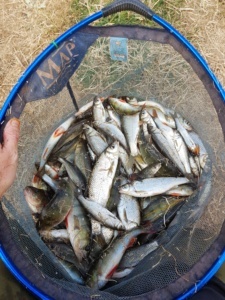 The River Trent is a great river, and it is fantastic to see so many small fish back feeding. I’m convinced a few years ago I would not have had the weight I’ve had today. Having complete faith in my kit, the Cadence rods and reels, allowed me to get into a rhythm, they certainly fit the bill. I’ve been telling everybody I know and fish with just how good the range is, the performance is fantastic as is the value for money. The fact Cadence only sells directly allows them to provide some exceptional kit that would cost much more from traditional manufacturers. Not just that, but each purchase helps to bring more kids into the sport, which is a beautiful idea.